One of the things that I learned while visiting Korea last year is that Koreans love using an app called KakaoTalk. Kakao is a messaging app that pretty much everyone in Korea uses. It’s an app that’s instantly recognizable due to the bright, colorful, animated stickers that litter the conversations of passersby. I’ve always thought that it would be cool if iMessage users could use animated stickers within the Messages app, and now it’s a reality thanks to a new jailbreak tweak called StickerMe. StickerMe takes the stickers available within the Facebook Messenger app, and brings them to an iMessage conversation near you. 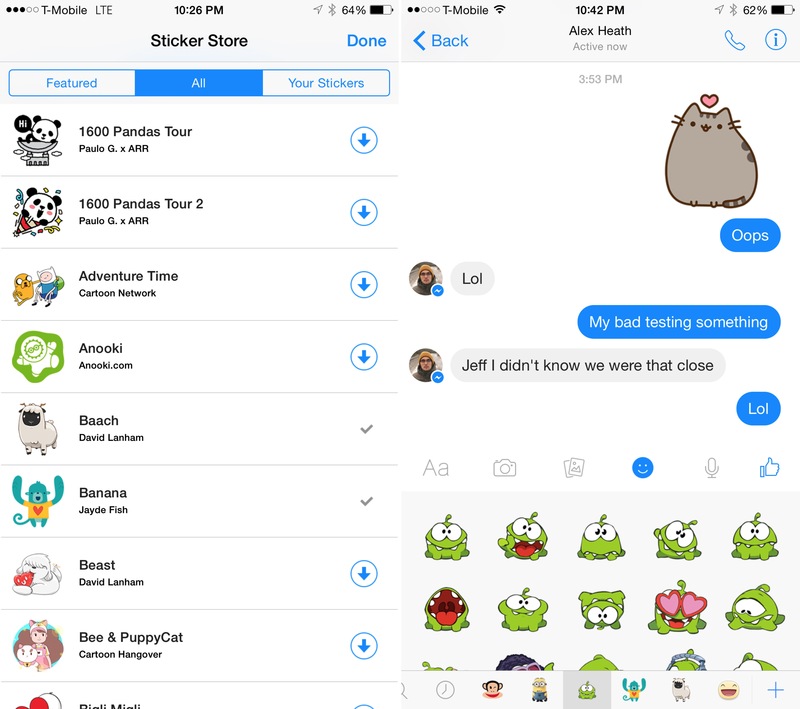 To use StickerMe, you will need to have the Facebook Messenger app installed on your device. Launch Facebook Messenger, begin a conversation, and tap the smiley face icon to open the sticker window. From there, you can use the ‘+’ sign in the bottom right-hand corner to download additional sticker packs from the so-called sticker store. Once you close the Facebook Messenger app, the Messages app will be auto-killed thanks to StickerMe. 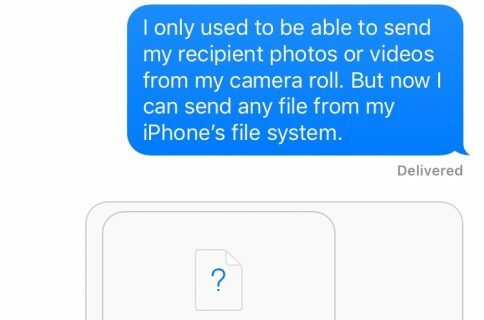 This will allow the stickers to make themselves available within iMessage conversations. If your iMessage recipient happens to have StickerMe installed on their device, then they will be able to view the animated stickers that proliferate the sticker store. Animated stickers can be disabled per conversation by means of the Details button in the upper right-hand corner of each conversation. 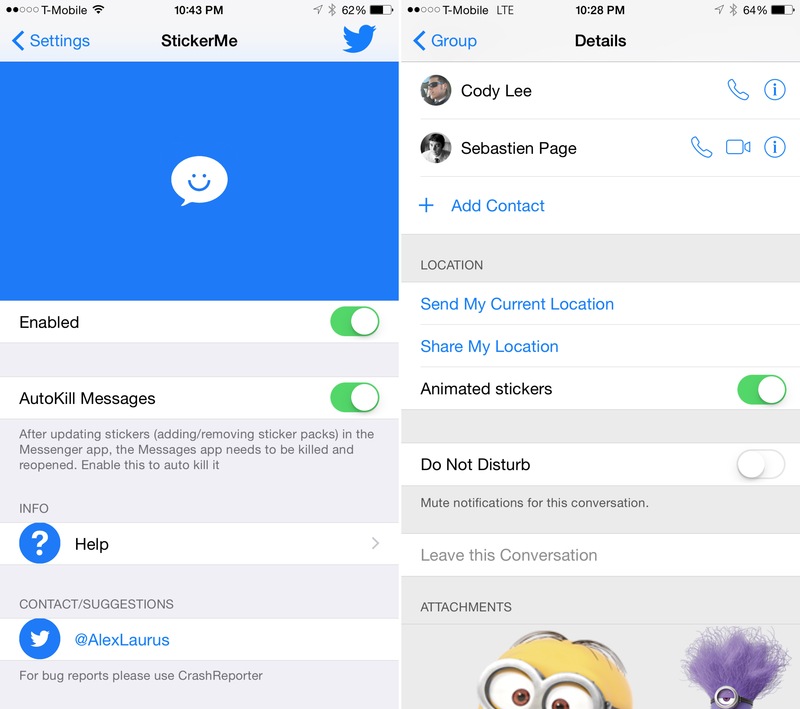 StickerMe’s preferences contain a simple kill-switch and a switch for auto-killing the Messages app. 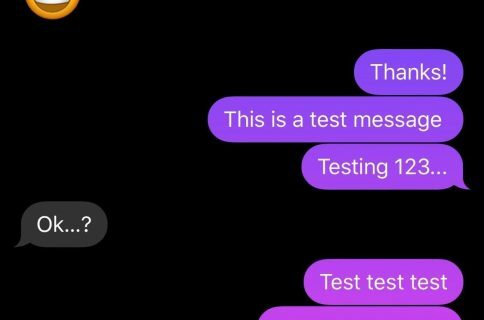 The auto-killing option, as stated earlier, allows the Messages app to pull in the latest sticker changes made via the Facebook Messenger app. In case you couldn’t tell from my excitement on the video, I really like StickerMe and what it brings to the table. 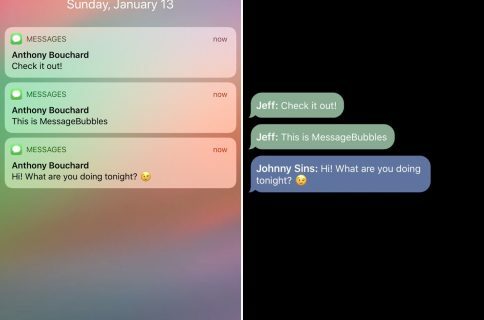 Even though it only works with iMessage, I find that it significantly spices up the Messages app, and makes it feel more modern and fun. StickerMe can be purchased for $1.49 on the BigBoss repo. 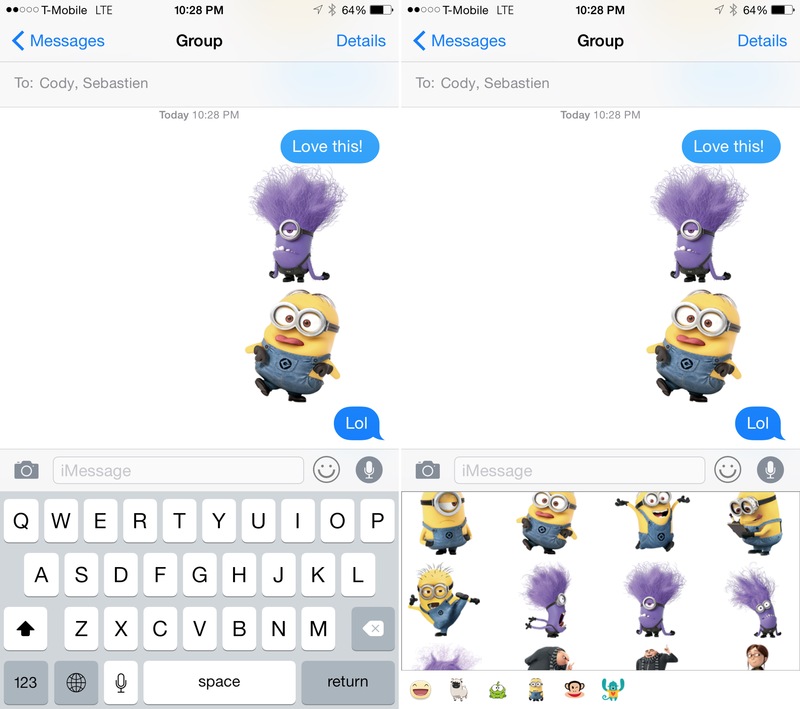 What do you think about using stickers in the Messages app? Good idea or bad idea?